Mystery plumbing leaks in your bathroom may be hard to detect if you are unsure of what you are looking for. You can have leaks coming from the sink, toilet and shower or tub in multiple places. Some leaks are harder to notice than others but even a minor leak can end up causing major damage. If you have noticed a spike in your water bill, there is a possibility you may have an undetected water leak. Contact our team for an inspection and for efficient leak repair and plumbing services. All these signs point to a definite water leak issue in your home. The best course of action is a quick repair that can reduce water damage and save you money in the long term. At Harry Clark Plumbing & Heating, our experienced team uses a variety of leak detection methods to inspect your bathroom for leaks. This way we can pinpoint where the mystery leak is coming from and repair it! 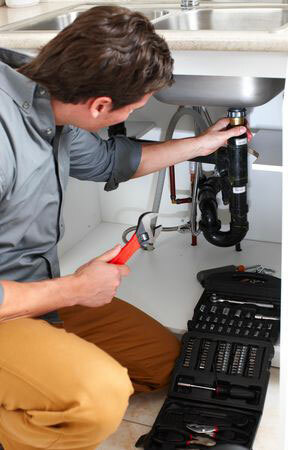 We offer plumbing repair and services all over Berkeley, Oakland, Alameda, Albany, Castro Valley, Concord, Hayward, East Bay, El Cerrito, Fremont, Moraga, Orinda, Piedmont, Richmond, San Leandro, San Lorenzo, Union City, Walnut Creek, CA and surrounding communities. Request service online or call us at 510-444-1776 today!